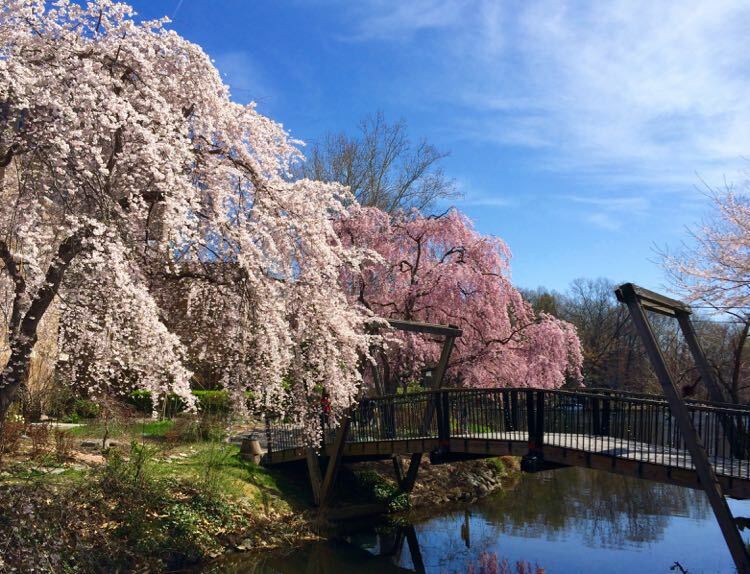 Here are more than 25 tasty options for Northern Virginia outdoor dining where you can relax, indulge, and celebrate the return of warm weather. The outdoor patios and decks at these restaurants are perfect for everything from casual meals to special date nights. While we love a cozy pub in the chill of winter, warm weather calls us outside. Fortunately there is plenty of patio dining nearby, with options from barebones picnic tables by a parking lot, to more elegant spots with a waterfront view. 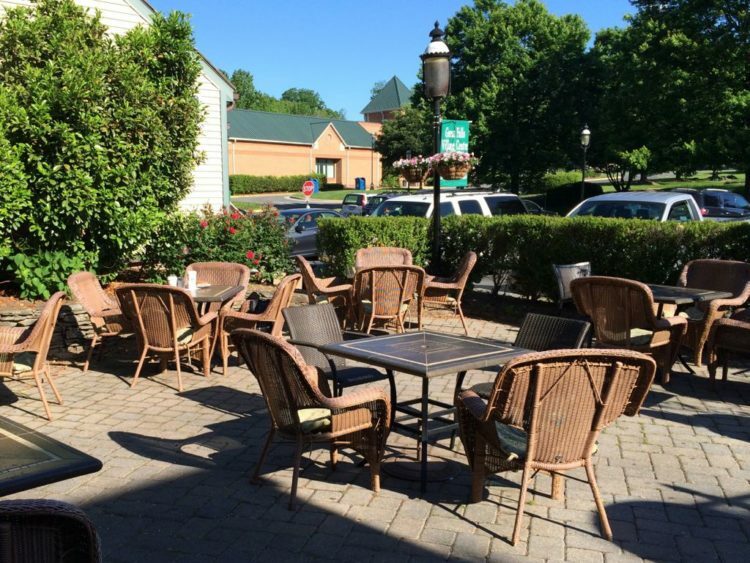 Restaurants in our round-up of Northern Virginia outdoor dining are listed alphabetically by town. 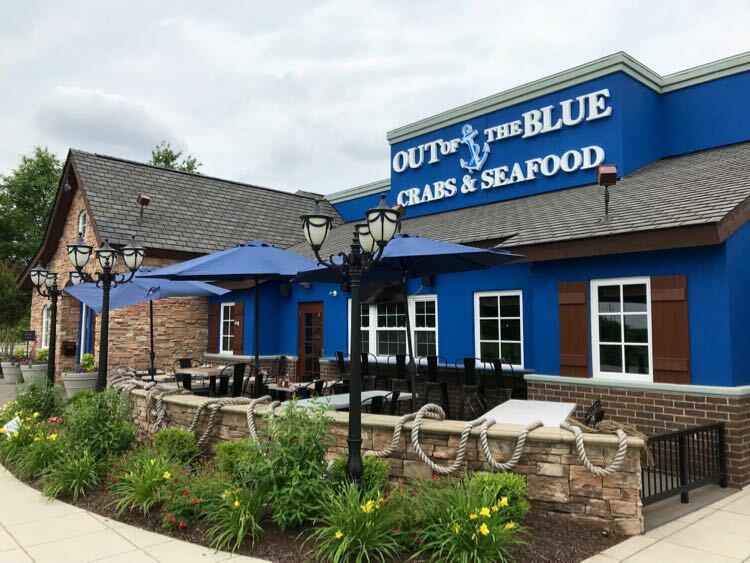 Our list includes outdoor restaurants in Arlington, Alexandria, Fairfax, Fauquier, Loudoun, and Prince William Counties and towns. Follow the links for details on hours, price range, and address. 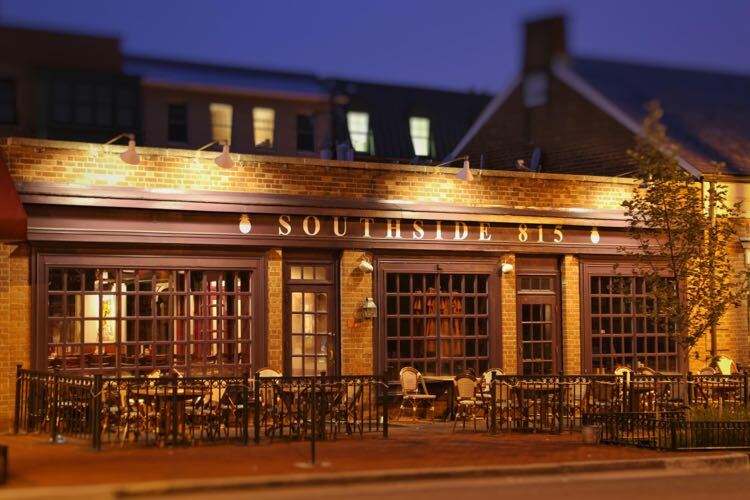 Recommended by Alexandria photographer Chris Militzer, Southside 815 offers great food and a welcoming patio frequented by locals. 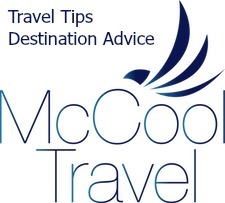 Chris loves Southside’s location off the bustle of King Street, and the relaxed vibe away from the crowds. Follow Chris on Instagram and Twitter for more of his gorgeous landscapes and nature photography. 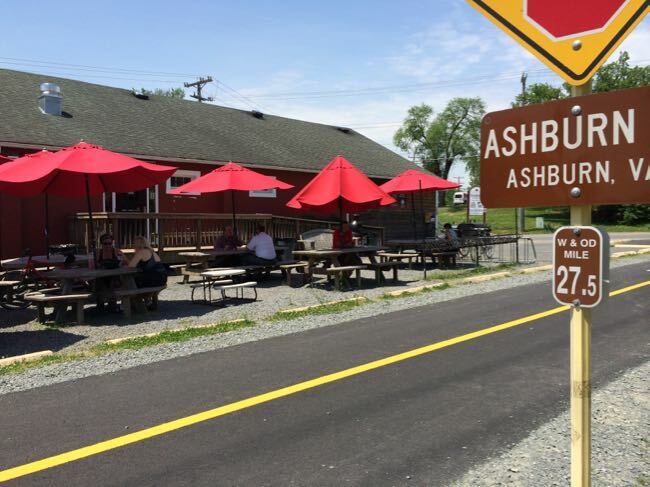 You can arrive by car, but we recommend biking to Carolina Brothers Pit Barbecue in Ashburn, right next to the W&OD at the intersection with Ashburn Road. Carolina Brothers has scrumptious BBQ sandwiches for $5; add 2 sides for an extra $3. We love the pulled pork, but they also have beef BBQ, pulled chicken, and hot dogs. 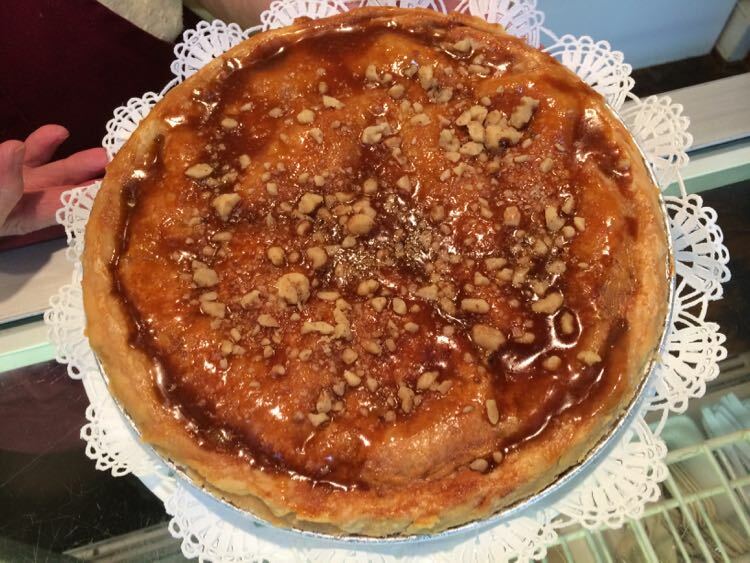 The blueberry pie and other desserts are a great deal too. We return to Ford’s often for fresh, authentic New England seafood (those fried clams are so good!). Ford’s patio is next to the parking lot, but it’s nicely bordered with plants and a railing and there are heat lamps for cooler temps. Clifton is a charming town with lots of great history and adorable stores. When you’re ready to sit down and enjoy a bite, we suggest a BLT on the patio at the Main Street Pub. It’s a quiet shady spot to watch the small town world go by. Waterfront restaurants in Northern Virginia are rare, especially if you want to enjoy outdoor dining with your feet in the sand. 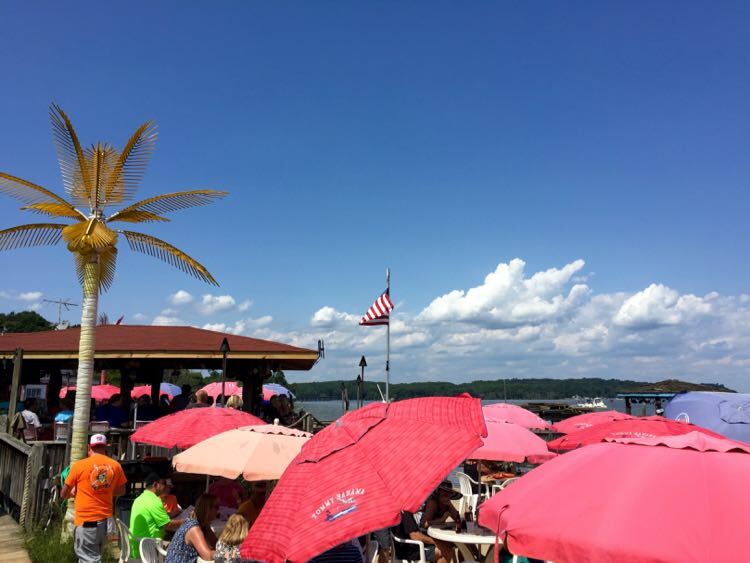 Tim’s Rivershore in Prince William County is a fun spot on the Potomac River for fresh seafood and a Jimmy Buffet vibe. Arrive by car or boat, grab a spot on the deck or the shore, and kick back with a cocktail while the kitchen cooks up your tasty meal. Bollywood Bistro is located in a group of small restaurants sharing a common patio in Old Town Fairfax. The restaurant, which also has a Great Falls location, offers contemporary and delicious Indian food. We enjoyed the Phool Gobi—a vegetarian dish of cauliflower, potatoes and peas—and Chicken Vindaloo with delicious Rosemary Naan, topped off with a Maharaja beer. Read more about Bollywood Bistro. 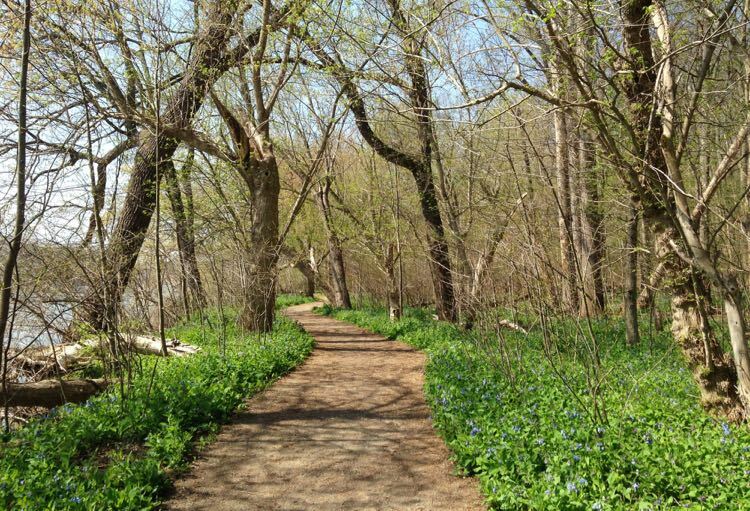 Not far from DC and convenient to the W&OD bike trail, Mad Fox has been concocting award-winning beers and delicious food since 2010. The Orange Whip is a hoppy, citrusy favorite and we really like the English Summer Ale. Mad Fox collaborates with other local brewers, and is a popular destination for special events like the annual Oktoberfest. The outdoor patio borders the street but is a nice option when the weather cooperates. Griffin Tavern is a wonderful stop for lunch and a pint, on your way to or from Shenandoah National Park, especially when fall foliage emerges. 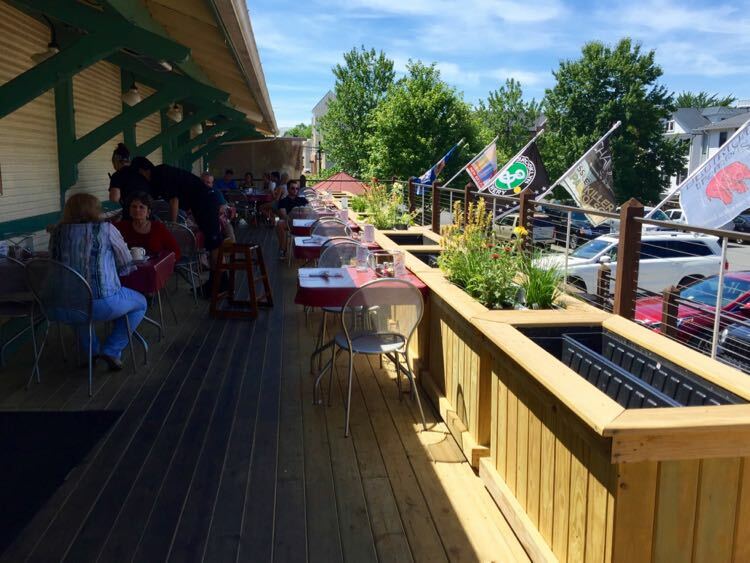 The friendly deck borders the bar, and there are a few more tables on the lovely curved front porch. We enjoyed a burger with our pints, and we’re eyeing the fish and chips for our next visit. 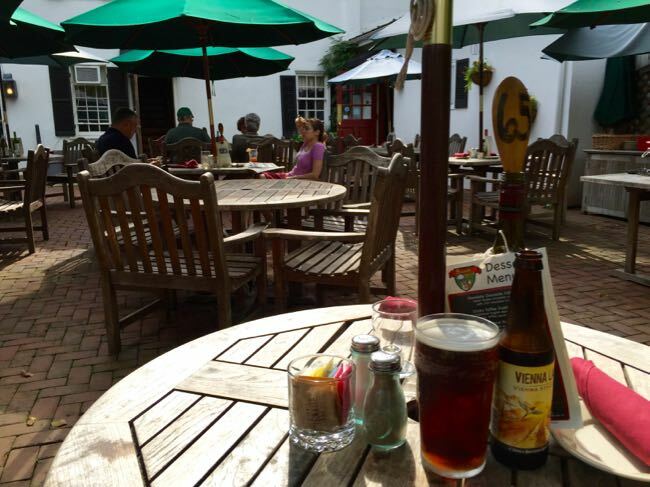 When warm weather arrives we love a pint on the Old Brogue patio. It’s our favorite stop after a hike at Great Falls or Riverbend Park. The Brogue’s fish and chips are delicious, and we’re also fond of the Irish Beef Stew, the Irish Banger Rolls appetizer, and the salmon salad (especially in summer). In the morning, order a bagel or breakfast sandwich from Katie’s, and enjoy it on the same sunny patio. Read more about our favorite local pubs. 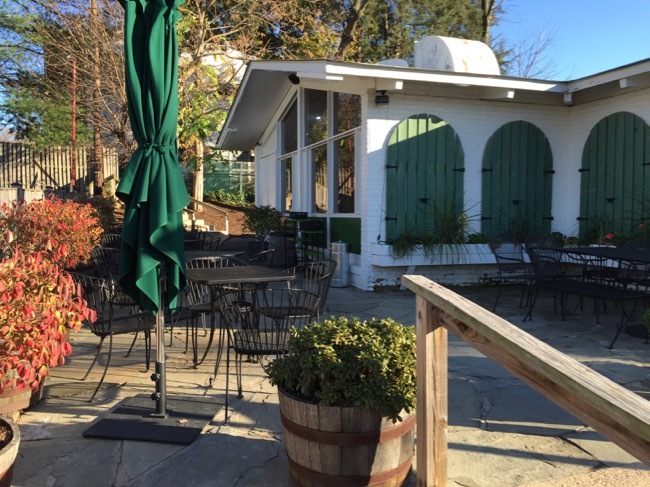 Another terrific breakfast spot with a cheerful patio is The Bagel Cafe on Elden Street in Herndon. 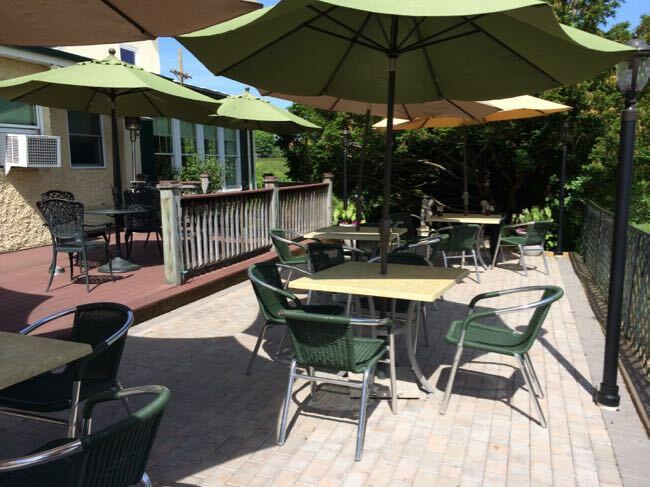 Order omelets, home fries, bacon, and bagels inside, then grab an umbrella-covered table on the casual patio. The fresh-squeezed oj is also delicious. The long, wrap-around porch at Fireworks is raised above parking level and offers a mix of covered and sunny seating. The pizzas are delicious, and so are the salads and daily specials. If you still have room after your meal, try the indulgent Chocolate Chip Cookie Sundae. Fiona’s is one of our favorite stops for lunch after a visit to Huntley Meadows, so we’ve eaten here several times. The ample mussels in garlic are delicious, but we keep going back for their tasty fish and chips, accompanied with a Smithwicks, of course. 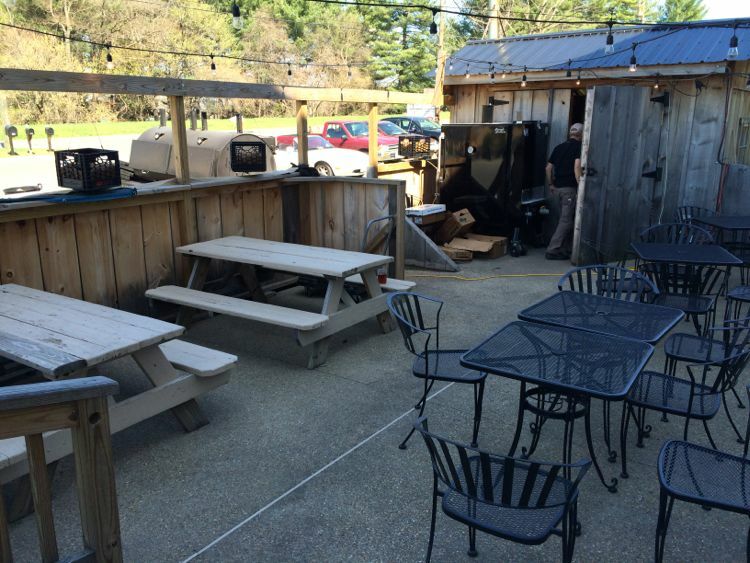 The outdoor patio borders the parking area, but the food makes up for the lack of scenery. Sweet Leaf turns out custom, delicious sandwiches all year long. But it’s especially nice when the spacious patio adds extra seating to the popular McLean lunch spot. Even better, warm weather is the perfect excuse to make an extra stop at the ice cream counter. 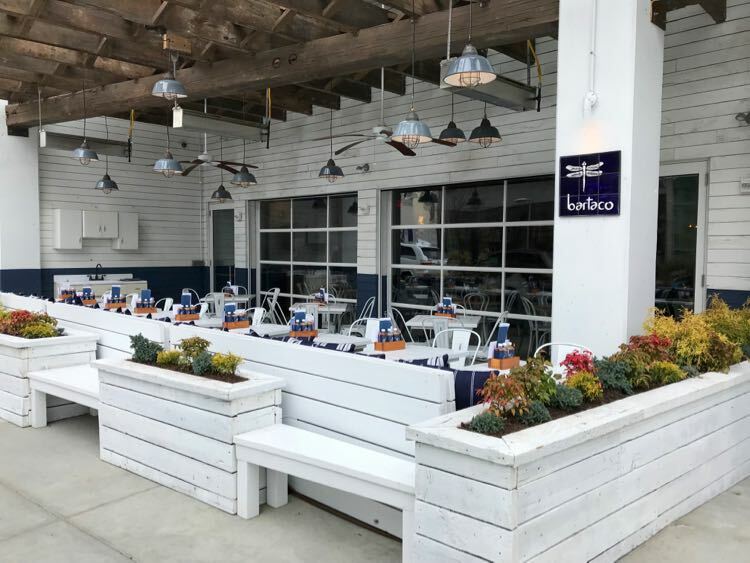 In 2018, bartaco opened a second Northern Virginia location in Fairfax’s hip Mosaic District. The large patio grows even more spacious when the garage doors are open for a nice indoor/outdoor seating mix. The tacos are delicious, but save room for an order of churros with a mug of dunking chocolate. La Favola occupies a convenient stop just down the road from Mosaic District and close to the Dunn Loring Metro station. 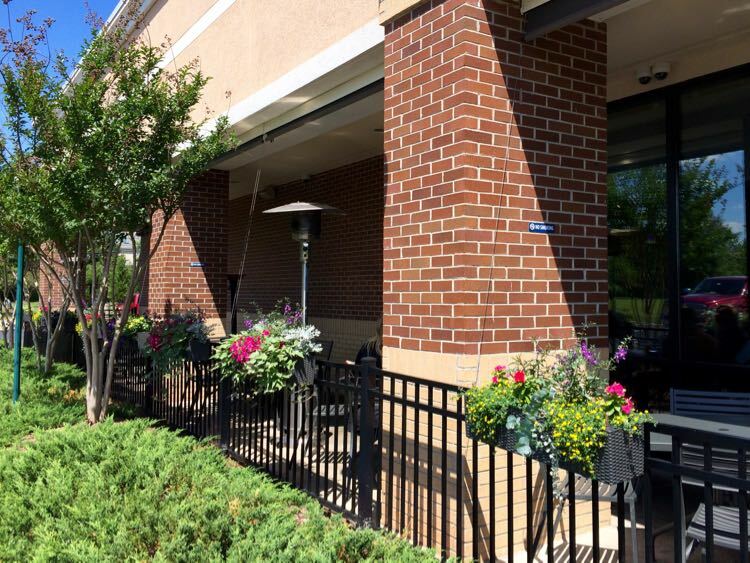 Handcrafted and authentic Northern Italian dishes are served in a sleek indoor space, and a sidewalk patio out front. You can’t go wrong with the pastas and pizza, and we particularly liked the fettucini with Mama’s bolognese and the pretty Caprese appetizer. Read our full review of La Favola. We enjoy True Food’s curries, pizza, street tacos—with avocado, cotija cheese, tomatillo salsa and anasazi bean plus steak or fish—and seasonal specials. Like everything at True Food, the ingredients are fresh and the quality is high. Out of the Blue recently treated Charles and I to a delicious meal during a live #FunTravelChat Twitter Chat (join in every Monday at noon). Owner Ryan Pell tells us their “secret ingredient” is excellent relationships with top notch fisherman, ensuring the freshest local catch. Everything we tried—broiled scallops, crab BLT, king crab legs, and more—was delicious. But the whole red snapper stole the show, and a big pile of steamed crabs is calling us back. 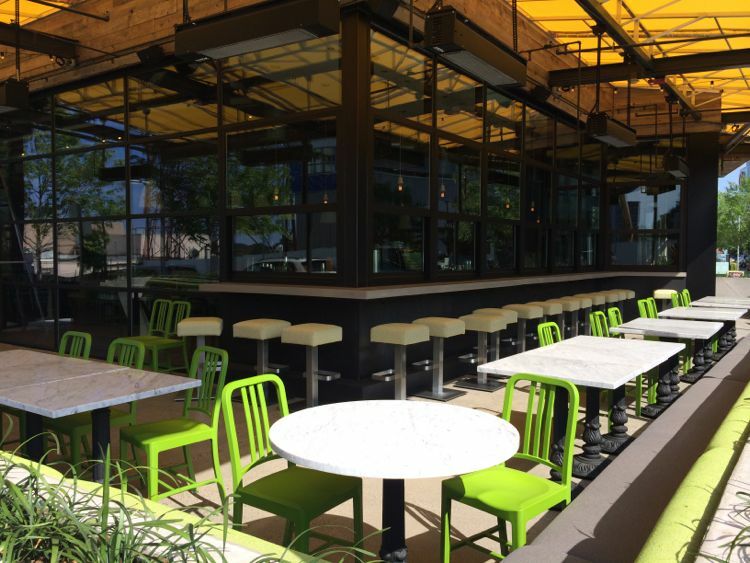 There are two outdoor dining patios, two bars, and plenty of indoor seating to choose from. 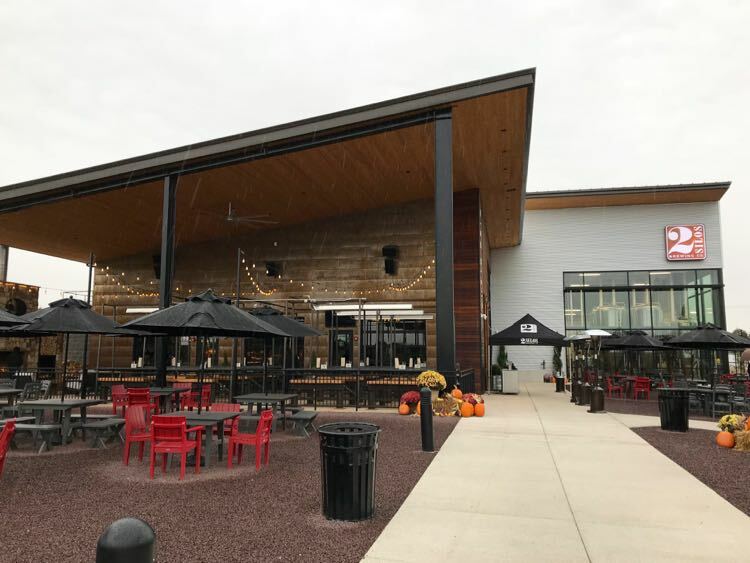 2 Silos Brewing offers one of the greatest collections of outdoor dining spaces in Northern Virginia. The sprawling campus includes multiple food, drink, and music spaces, and 2 Silos Brewing was the first to open. Grab a seat by the outdoor fireplace, a table in the sunshine, or an Adirondack chair by a firepit. Wherever you sit you’ll enjoy tasty sandwiches, salads, handmade pizzas, and a range of great craft beer. Get the full scoop on 2 Silos Brewing. 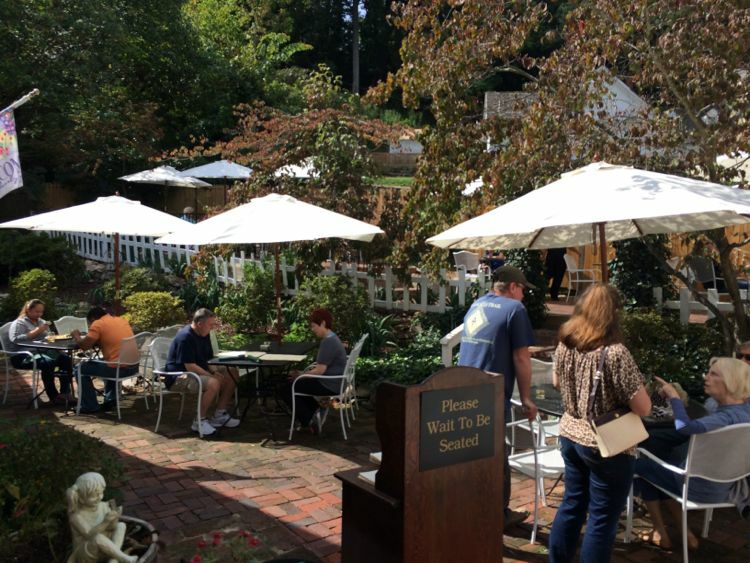 This lovely Northern Virginia outdoor dining spot in historic Occoquan really is a secret. The Secret Garden restaurant is tucked behind an unassuming building and up a few steps. 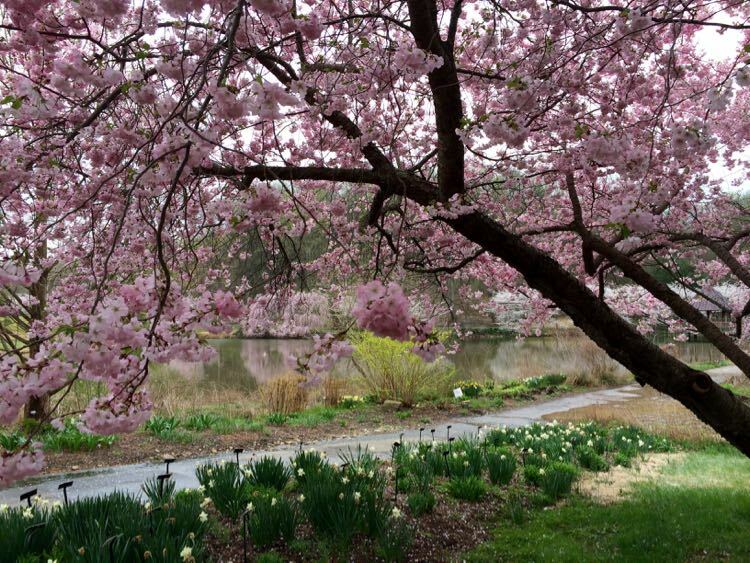 The BLT and other sandwiches are reliably good, and the quiet garden takes you away from the bustle of the street. 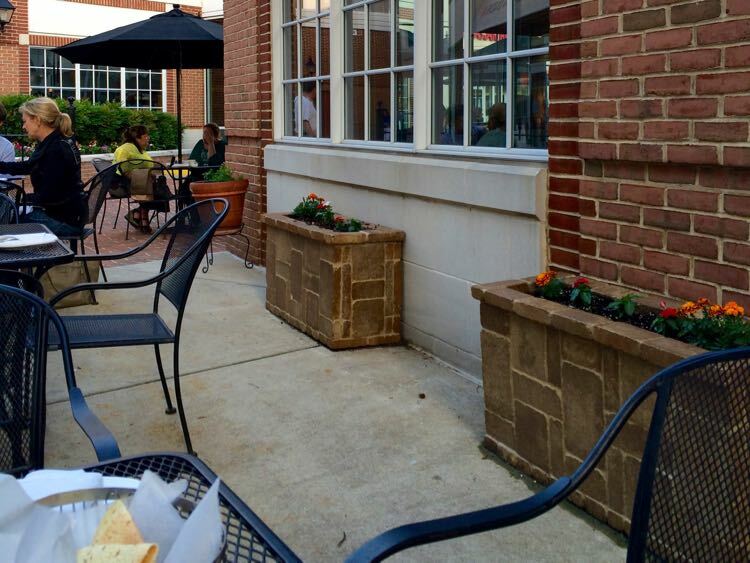 The patio at Monk’s is bare bones, but you don’t come to Monk’s to be fancy. You come for the amazingly good barbecue. The ribs, pulled pork, brisket are all fall off the bone delicious, and they have a nice selection of craft beers to cool you down. They also have a massive collection of whiskeys on offer. 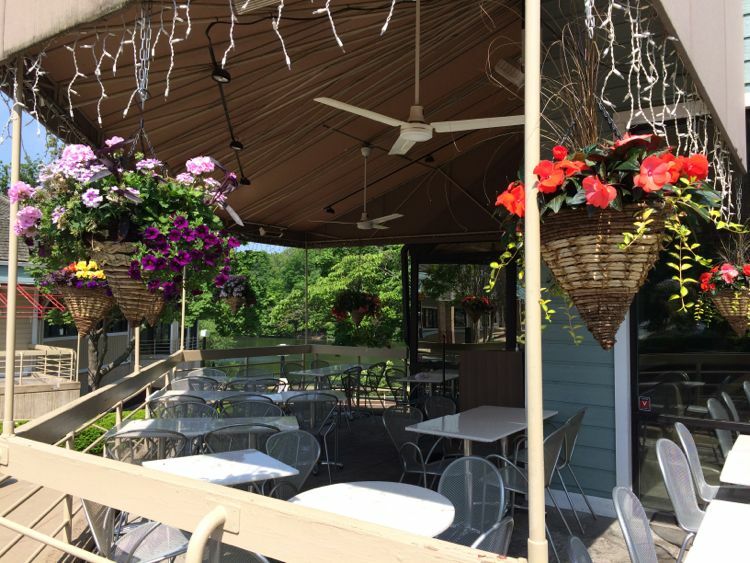 Tucked in a corner of the South Lakes Shopping Center, Cafesano’s small deck benefits from plenty of plants and a peak of Lake Thoreau. The pizza, panini, and other Mediterranean dishes are all great, but start off with the Dip Sampler with housemade red pepper hummus and tzatziki. Take a closer look at Cafesano. 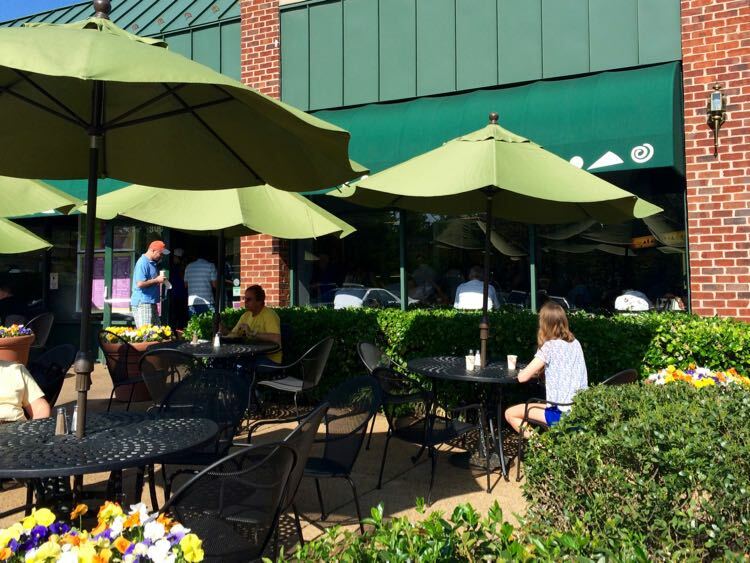 Several Clyde’s offer Northern Virginia outdoor dining, but our favorite for people watching and a tasty meal is the Reston Town Center location. The large outdoor seating area is right next to the pavilion and across from the fountain, so there is always something to see. Clyde’s crab cakes and monthly specials are reliably good. Unfortunately, paid parking has cut back the weekday lunchtime fun, but you can still park free after 5:00 pm and on weekends. It can be hard to find restaurants on the water in Northern Virginia. 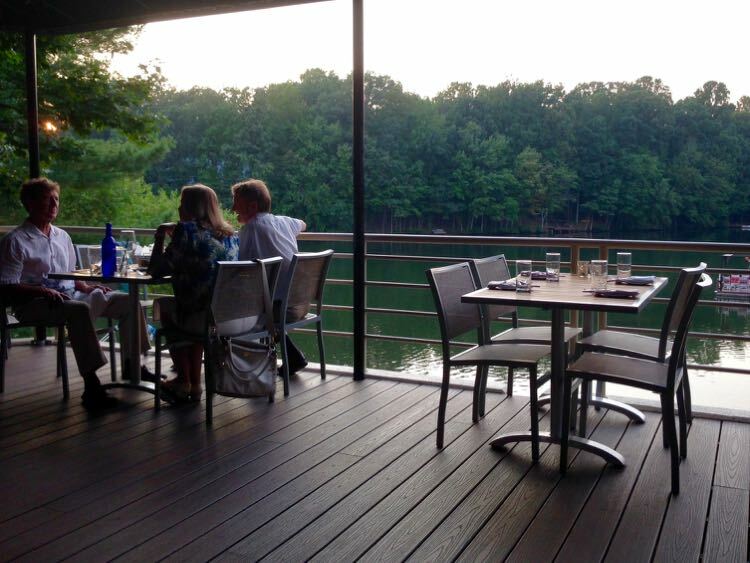 Happily, the pretty patio at Red’s Table overlooks Lake Thoreau in Reston’s South Lakes Plaza. Stop by in the early afternoon for a Happy Hour drink by the lake, or visit for lunch, dinner, or Sunday brunch. Locally sourced, fresh ingredients make for very tasty dishes all day long. Take a closer look at Red’s Table. 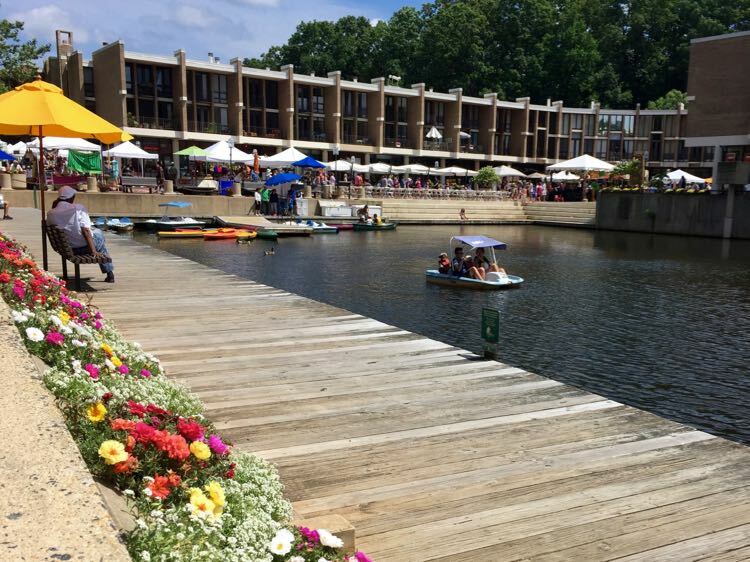 Lake Anne Plaza, the first neighborhood center of Reston, really comes alive in summer. Enjoy lunch or dinner at three locations near the fountain, all with relaxing views of the lake. A bit away from the lake, under a nice shade tree, the Lake Anne Coffehouse adds a fourth outdoor dining spot. 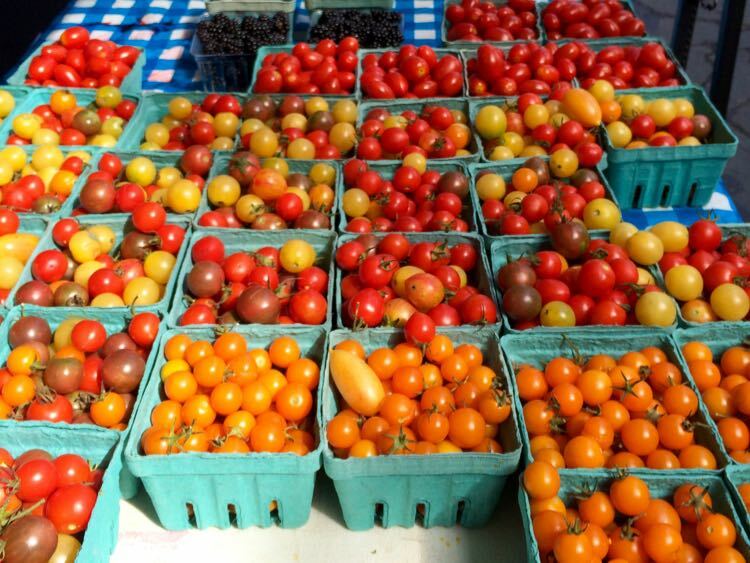 Visit on a Saturday for brunch and shopping at the extensive Farmer’s Market. 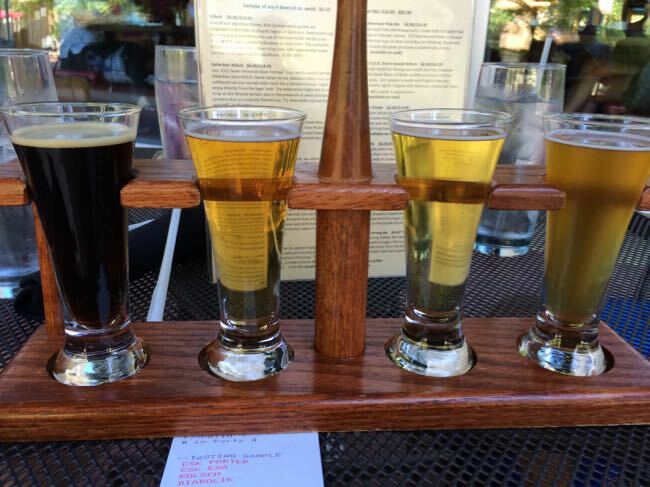 Stop by the Lake Anne Brew House for a craft brew on their lakeside deck. Be forewarned that the plaza fountain is a popular play spot for kids, so you may have entertainment during your meal. 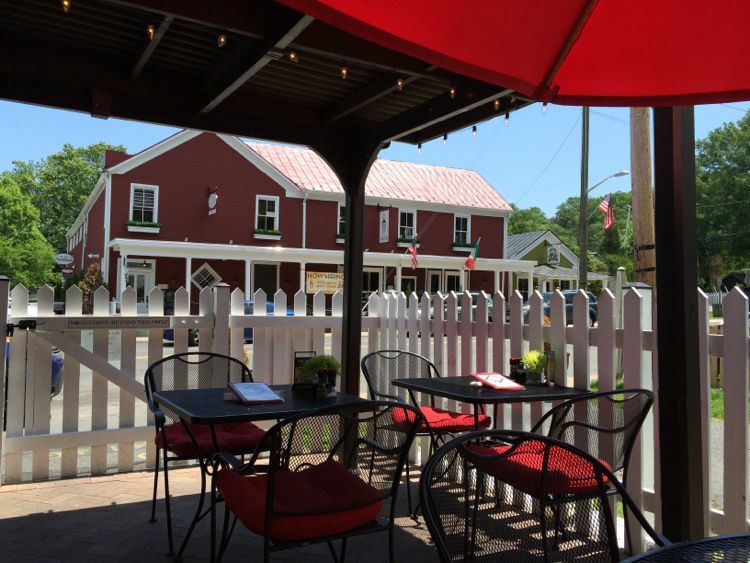 Hunter’s Head Tavern is another English Pub that we love to visit on a scenic drive through Loudoun County or after a hike at Sky Meadows State Park. The pub’s menu is sourced with organic local farm meats and produce harvested from neighboring Ayrshire Farm (which shares the same owner), so the food is fresh and delicious. We love their fish and chips and fresh salads and veggies. In summer, you can’t beat a spot in the lovely courtyard patio. 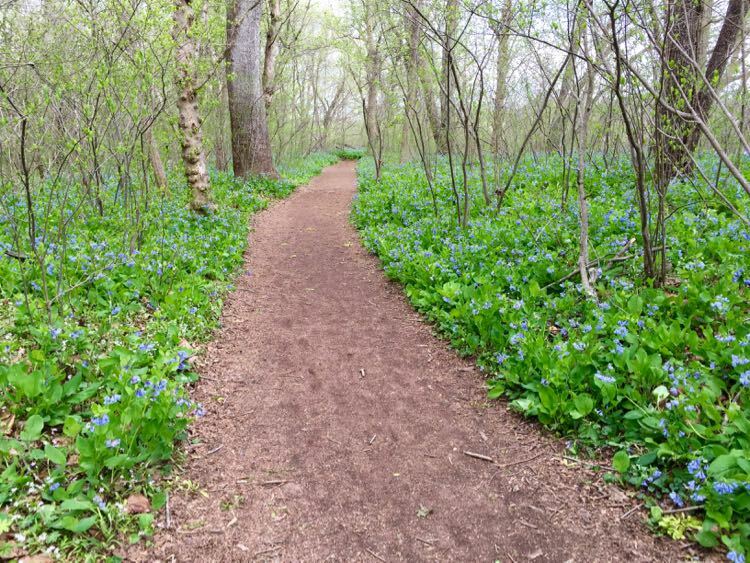 Caboose Brewing Company, right next to the W&OD bike trail in Vienna, combines wonderful craft beer with delicious, locally-sourced food in an inviting space. Caboose Brewing is fortunate to have tasty brews and food under one roof, and the location next to the bike trail in downtown Vienna draws a steady crowd on two wheels, by car, and on foot. Try the tasty fries, deviled eggs, pork belly, and popular hamburgers. 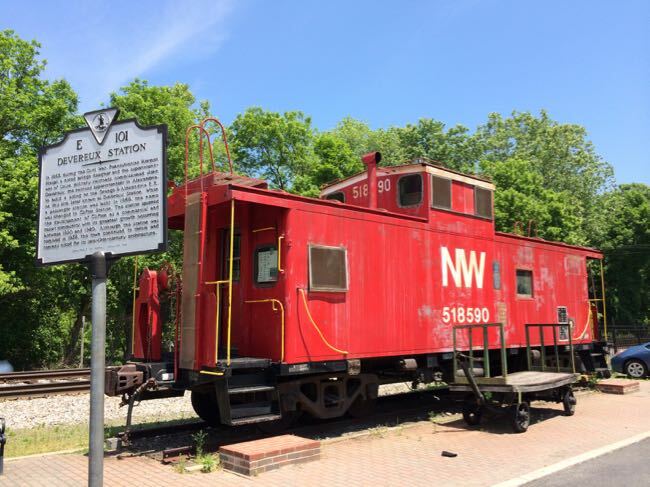 Read more about Caboose Brewing Company and more Great Things to Do in Vienna Virginia. 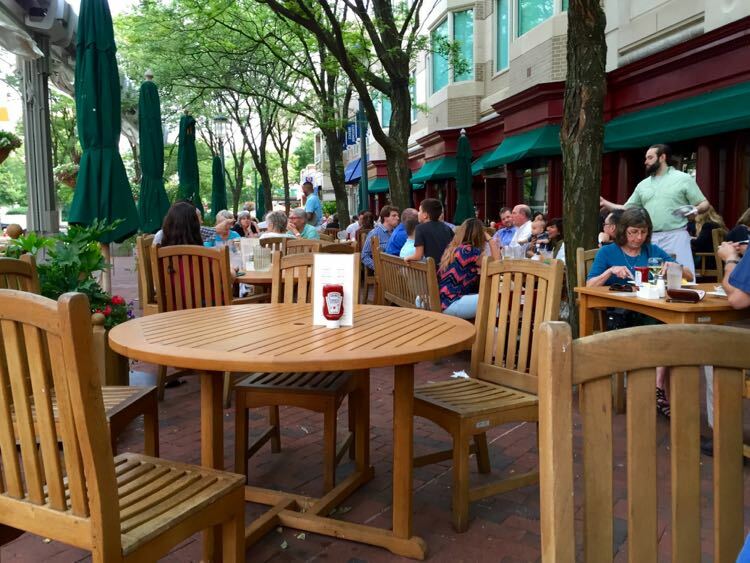 There you have it; 25 of our favorite Northern Virginia outdoor dining options for enjoying a warm weather meal. What’s your favorite spot for an outdoor meal? 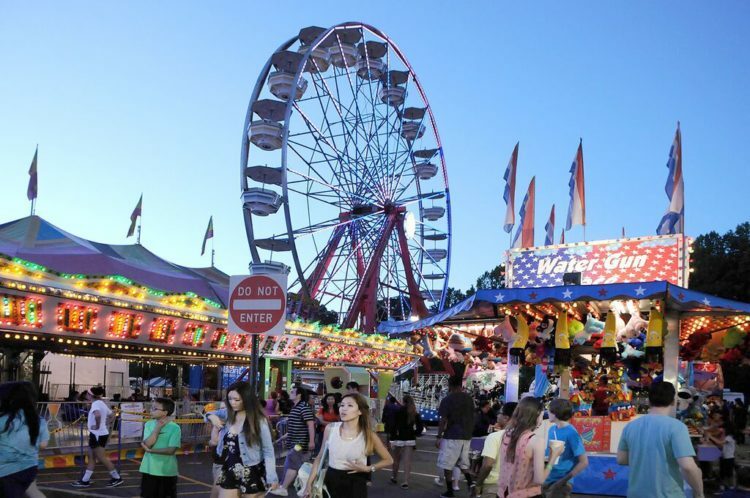 Follow Fun in Fairfax VA on Facebook, Twitter, Pinterest, and Instagram for more great food, drink, destinations and events in the Virginia, Washington DC, Maryland area. This article was published in 2016 and updated in 2018. Well you just brightened up my weekend! Since moving to Virginia, I am always on the hunt for new eating establishments. Thanks for all the recommendations, and I can hardly wait to some them. Now I just have to figure out how far I am from each of the cities haha. That’s fantastic, Susan. 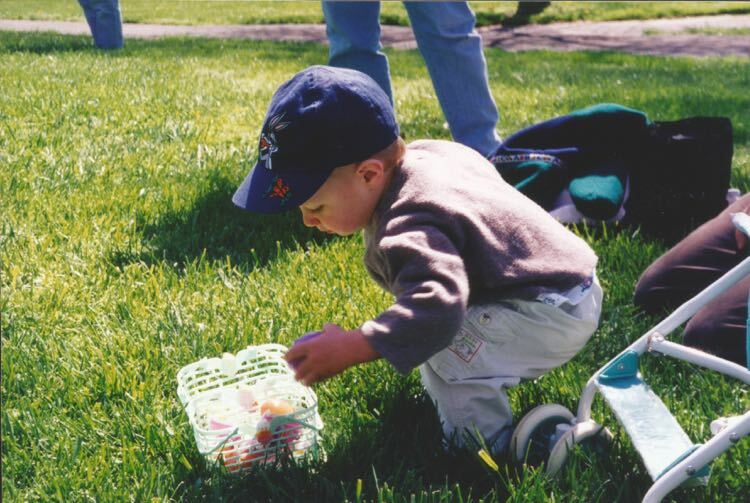 We love to try new places, especially when we visit a new park or town. 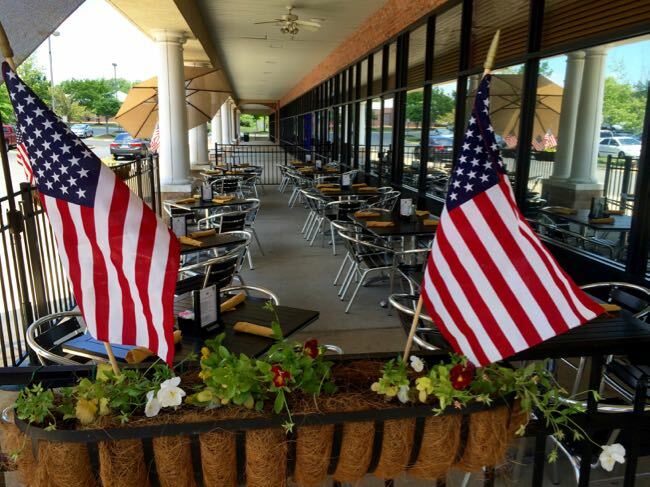 Let us know what you think and pleas tip us off if you find a new patio for us to try. Two errors on this list. Fiona’s Irish Pub is in Kingstown and Pane e Vino closed months ago. Thanks very much for the feedback, Rhoda. We updated the article to correct those two errors. Fionas isn’t closed. They just posted your link on their FB page. It was Pane e Vino that closed, Fiona’s just needed a city correction. Thanks for the tip on their Fb post!